If you want to get under the skin of this amazing country you need to travel around to discover it's diverse culture and scenery. 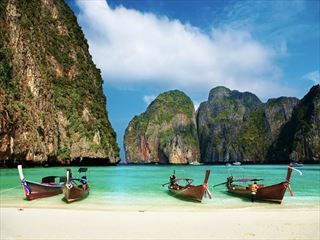 Visiting Bangkok, Chiang Mai, and Phuket, this 12 day tour program is full of in-depth excursions to the main sites of Thailand as well as unique, often hidden, locations. Awake early to witness the serene morning chants of the monks at famed Wat Po, an incredible start to the day. 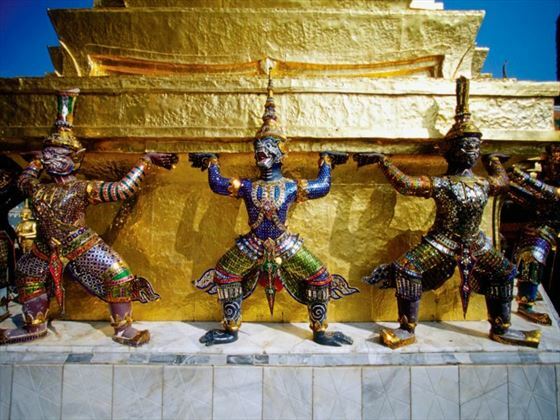 Tour the temple grounds and explore the grandeur and majesty of the nearby Grand Palace. 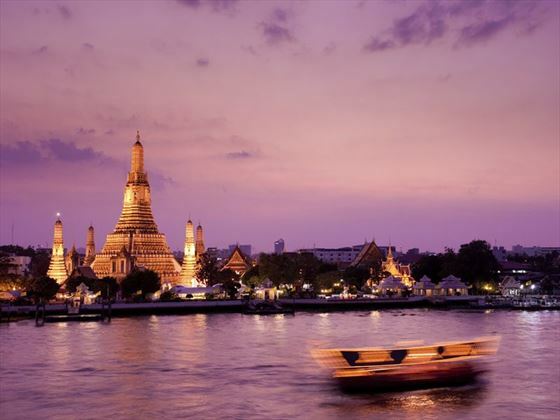 After lunch, continue to Chinatown and absorb the vibrant street atmosphere with a walking tour followed by a longtail boat trip through the winding city canals.. Overnight in Bangkok. Experience the lifestyles and local rhythms of rural Thailand with a full day excursion to the countryside. Less than two hours from the capital you will discover unusual markets on the train tracks, take a paddleboat through an authentic floating market and travelling by trishaw through beautiful landscaped gardens. 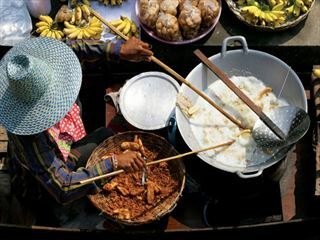 Encounter friendly local and taste local delicacies along the way, making for an unforgettable day out.Overnight in Bangkok. 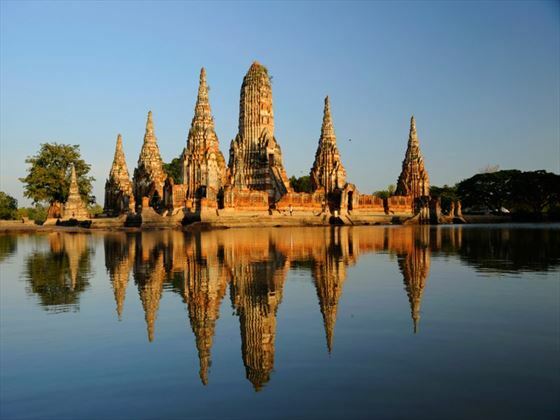 Absorb centuries of Thai history today as you travel by local train to the former capital of Ayutthaya. Spend this morning among the magnificent ancient ruins of the city with an expert guide and this afternoon exploring nearby markets and the royal palace of Bang Pa In. Timed to perfection, you will miss the tourist crowds and enjoy the sights of this fabulous city at your own pace. Overnight in Bangkok. Fly to the cultural center of Thailand, Chiang Mai, where your introduction to the north begins with a long-tail boat cruise along the Mae Ping River. After enjoying scenes of river life, continue your city tour on foot in the heart of the old quarter followed by a trip to Doi Suthep mountain temple. Arriving in Doi Suthep in the late afternoon, the temple is virtually empty. Receive a special private blessing from a monk and then witness the evening chants as the sun sets, capping off a memorable day. Overnight in Chiang Mai. After lunch amid the lush scenery, continue to Chiang Dao area where you visit Palaung, Akha and Lisu tribal villages and learn about their traditional lifestyles. Return to Chiang Mai late this afternoon. Overnight in Chiang Mai. 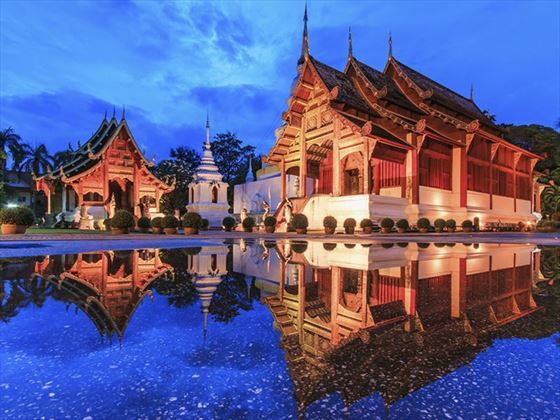 Spend the day discovering the hidden treasures of Chiang Mai. Take a trishaw to a local market, purchase a selection of offerings and head to a temple for an offering ceremony with Buddhist monks. Afterwards, head to Wiang Kum Kam, a lost civilization buried under layers of earth, and explore by bike. Return to Chiang Mai to visit the local cultural hall which chronicles the town’s history. Overnight in Chiang Mai. Learn more about the north’s hilltribe culture with a full day excursion to Mae Kampong. Join the villagers for a walk through the area and surrounding forest, stopping at the tea and coffee fields en route. Prepare lunch and dine alongside a family in their house, followed by a traditional Thai massage to help you relax. Before returning to Chiang Mai, there is more time in Mae Kampong to discover other aspects of the rural lifestyle. Overnight in Chiang Mai. Today is free at your leisure until transferring to Chiang Mai airport for the flight to Phuket. 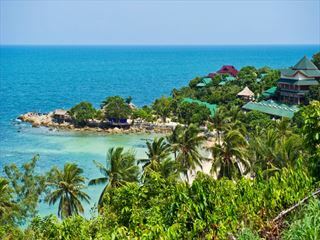 Breathe in the fresh air of the sea, swim in the turquoise water and relax on what many consider to be Thailand’s finest beach. Overnight in Phuket. Set off after breakfast to discover the interior of Phuket Island. Visit a rubber plantation and gibbon rehabilitation project followed by a guided tour of the Thalang National Museum where you will get a glimpse of the former glory of Phuket. Stop to sip a cup of locally grown coffee before ending the morning tour with a tour of a cashew nut factory and blessings at Wat Prathong, the island’s oldest temple. Return to the hotel for an afternoon at the beach. Overnight in Phuket. Today free at leisure to relax on the beaches or if you'd like to see more, there's the option to take a snorkelling or boat trip to the nearby islands or an e-bike tour of Phuket Old Town. Overnight in Phuket. 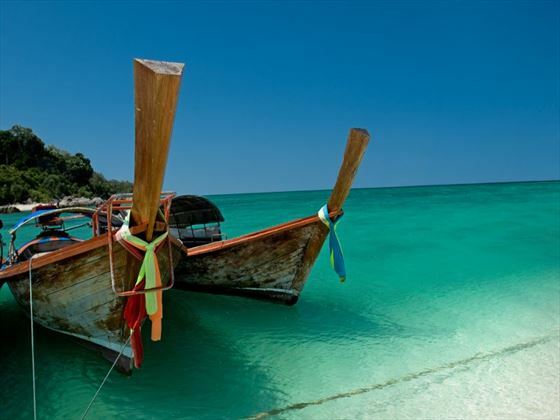 After a few days of beachside bliss, today you will transfer back to the airport for your return flight- filled with memories of your incredible holiday in Thailand.